Kinda, but it’s more complicated than that! 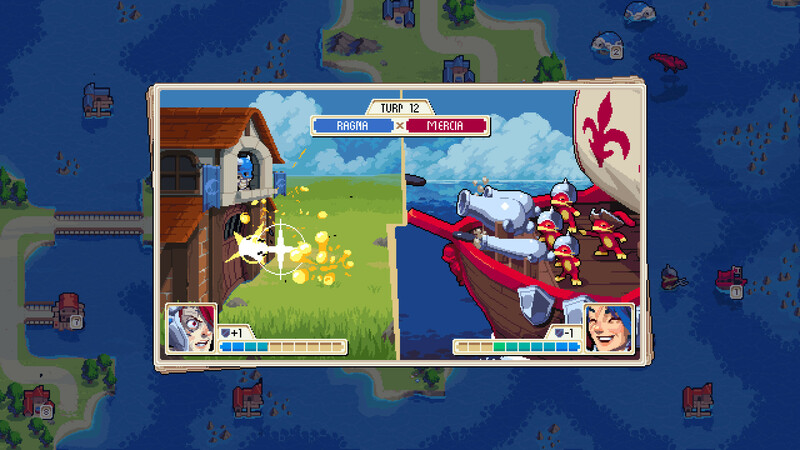 Wargroove aims to recreate the charm and accessibility of the titles that inspired it while bringing modern technology into the formula. 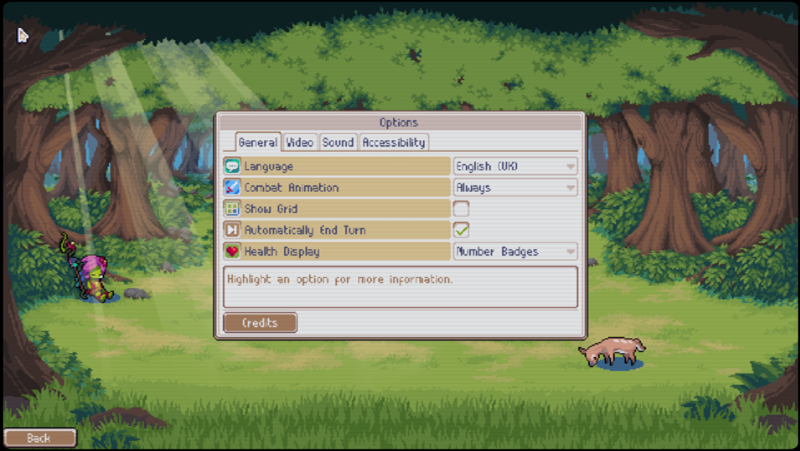 This modern focus allows for higher resolution pixel art, robust online play and deep modding capability, ultimately creating the most complete experience for Advance Wars and TBS fans. 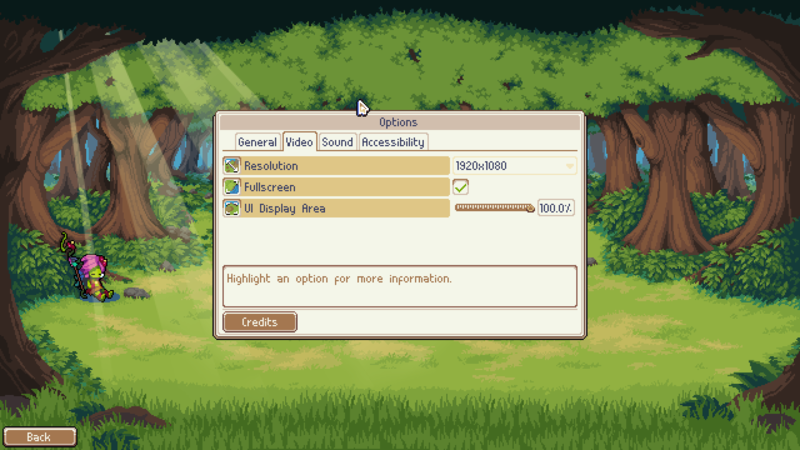 We’ve also got quite a few new-to-the-genre features in the works — but we’ll tell you about those later. No release date yet, but we’re looking at early 2018! 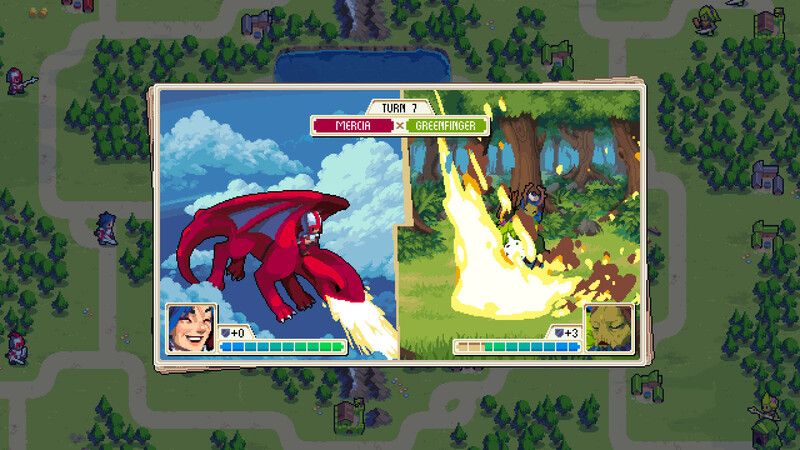 What platforms will Wargroove be available on? 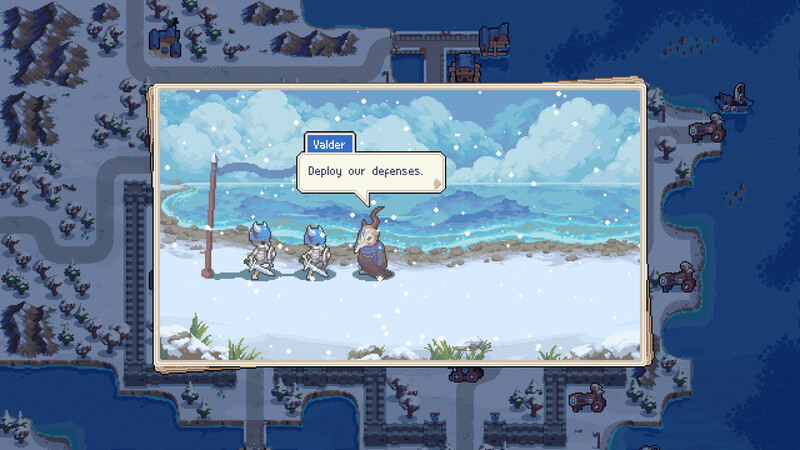 We’ll be posting frequent developer blogs, and you can follow us on Facebook and Twitter! superconsole wrote: Initially we were aiming for a late 2018 release, but we have recently decided to move the launch window to Q1 2019 to allow us to provide players with a really robust package when the big day comes! 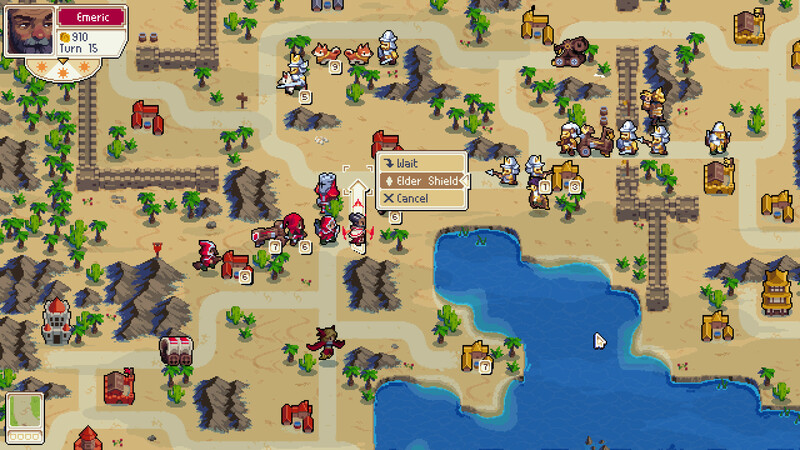 Chucklefish wrote: Take to the battlefield with Wargroove, a strategy game for up to 4 players! 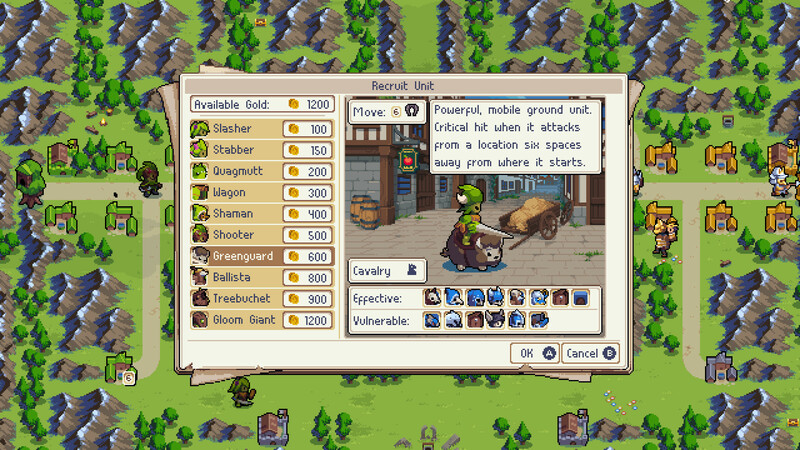 Choose your Commander and wage turn-based war on battling factions. Design and share maps, cut-scenes and campaigns with easy-to-use editors and in-depth customization tools! Looks like a solid imitation of Fire Emblem. Not quite sure what's up with the "4 players" claim though. 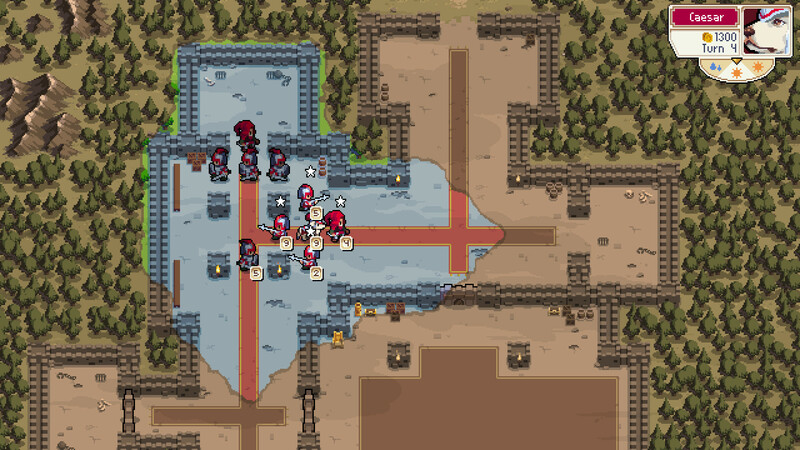 I'm messing around with ReShade to apply scanlines to Wargroove. This is my first time working with the software, and I'd like to make sure I get the look just right for the Insomnia Twitch channel, which I'll stream the game on soon. I think it's a decent first try. My first instinct would be to remove the dark frame, but I have no idea how to do that. Back when I was using ReShade, it didn't add a dark frame, at least not by default. But anyway, you can go ahead and stream the game like that if no one offers advice and you don't feel like experimenting further.